The World Wide Fund for Nature (WWF) is apparently in a state of happiness after securing 2.1 million Euros approximately 6.3 billion Uganda Shillings from the European Union and French Global Environment Facility to further its cause in the Pearl of Africa Uganda which is always encountered by travelers that undertake Uganda safaris and tours. Running the campaign to Implement the Sustainable financing of the Rwenzori Mountains National Park project in the landscapes of Rwenzori one of the famous Uganda safari products, the secured money will be used in the districts of Kabarole ,Ntoroko, Kasese,and Bundibugyo aiming at achieving effective Rwenzori Mountains National Park conservation through enhancement of sustainable financing mechanism that will help to realize the potential value of natural resources with involvement of the private sector. The project goals include among others improving the incomes of the communities that surround these protected areas. 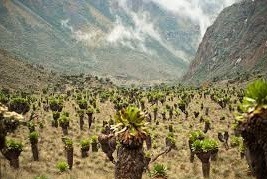 The Rwenzori Mountain can be considered as Uganda’s gold mine which does not require extractive infrastructure, land property conflicts and score for miners but effective park management, enthusiastic people, few lodges where travelers on safaris and tours can sleep and proper marketing to start with. The Head of the European Union Delegation Kristian Schmidt noted that what makes Rwenzori further different from other gold mines is that the rest that will enhance its sustainable use will be self-generated. The Head also noted that increase in crime towards natural resources is affecting the country’s earning from such resources. For example the increase in population is fueling poaching and encroachment on natural resources some of which are products that prompt world travelers to plan safaris to Uganda. The project is estimated to cost Euros 2,109,427 and will be financed by the European Union (Euros 1,359,427) and the French Global Environment Facility (Euros 700,000). The private partners are expected to support the project with (Euros 50,000) and it is expected to have been completed in three and a half years. The project will be targeting private sector to promote sustainable funding instruments including payment for ecosystem services and enhancing Eco-tourism for the conservation of biodiversity and generating of extra income of the park and the surrounding communities while aiming at reducing pressure in natural resources. The process of consultation and regulatory framework adaptation will help to sustain the Payment for Ecosystem services according to David Duli the Country Manager for WWF. National Environmental Management Authority will help to give this move direction. This would even encourage the reviewing of the existing legal and fiscal set up, sensitization of policy makers and lead to drafting of provisions that would see Payment for Ecosystem Services promoted. This project will also strengthen the capacity of the poor people enhancing their knowledge and skill to make informed decisions. This will in turn enable them get access to financial resources including saving and access to credit through the partnerships and linkages with the private sector. The combination of the above endeavors will eventually ensure sustainability of the natural resources which will in turn ensure continued safaris and tours to Uganda.